I passed by the bookstore and found these cute fishes displayed on their windows. I couldn't resist taking some photos for MYM, they're so cute! Click the badge for more Mellow Yellow photos. Have a great week everyone! Wonderful and very happy Liza!! A great start to the week!! hi, wanna exchange badges? ive already added yours. Those are cute little fish. Great find! Happy MYM. I am just popping over to let you know that you got FC!! So I needed your badge to link to!! 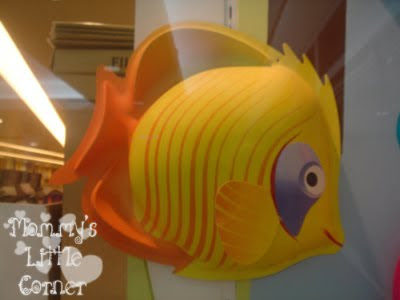 When I was a young wife and mother, I thought, I never wanted a "FISH" theme bathroom. But now that I am ahem.. sending my daughter to college, I want my entire house to have cute themes. 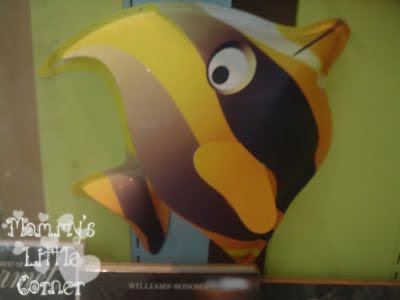 I love the Yellow FISH! Thank you for posting! These are great! Love the first one especially. I love these yellow fish!